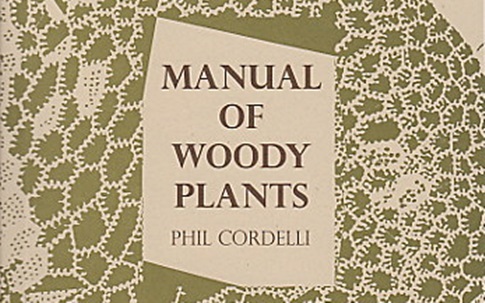 With a title like Manual of Woody Plants (Ugly Duckling Presse, 2013), one might reasonably expect–before reading the book–that Phil Cordelli’s first full-length collection of poetry might be some sort of verse field guide describing trees and shrubs, etc. Although in some instances true, this would be a reductive manner in which to conceptualize the book as a whole. These, of course, are only three modes that the poems work through; rest assured, Manual of Woody Plants contains many more (for example, there are textual ruptures throughout the collection wherein the poet includes visual images, diagrams, and formally inventive use of text and typography). With the wide range of styles, registers, and rhetorical strategies that these poems employ, one might be curious as to what binds these various poems together. To this end, the poems contain a superficial resonance with regard to their titles: each is the Latin name for a particular woody plant (with common names in parenthesis), nominally demonstrating how “families are based on generic names” (33). But these titles do not intend, necessarily, to identify; instead, these names are a “doubled language, like metaphor” (33) through which the writer attends to the subject matter of a poem indirectly. In this sense, the “antecedent” of each poem’s title (i.e. the woody plant) “will have long / since ceased” (44) to be the sole focus of the poem. These titles, rather, are evasions that, through their indirection, recognize how “Difficult [it is] to look at anything directly” (74) and, thus, allow for us to “forget / the title” (107) in order to access something else entirely. This excerpt would seem to indicate that what these poems offer will exceed mere description of the perennials’ “planted bed.” Instead, Cordelli disarranges the world around him, then knits the disparate elements back together into strange little poems. By recombining elements of the aesthetic, intellectual, and natural worlds, he creates new and compelling combinations “inked” upon the page into verse “form.” Yes, despite their best efforts to escape the “planted bed,” these poems end up entwined within the foliage, thriving within a symbiotic relationship wherein all the elements flourish. The urge to create resolute poems of a “fixed” nature that have ceased to grow—at least in the creative sense—gives way to an understanding that the writing included therein, in fact, returns like a perennial: dying with each winter, only to return once again during the spring to renew itself. Yes, these poems might have temporarily ceased to grow after their moment of conception, but they return once more with their publication in book form. Moreover, the poet himself has “grown into them,” signaling a double flourishing wherein word and flesh are “twined” together as one.